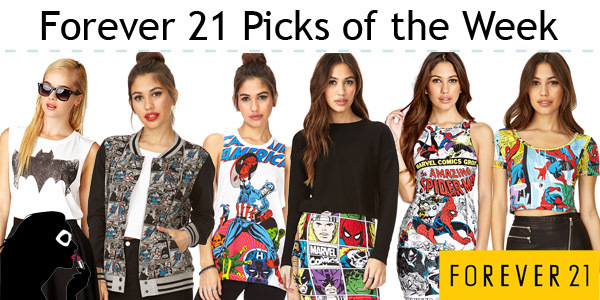 Alongside Hot Topic, Forever 21 and Wet Seal are two of the top companies where you can find fun and stylish superhero apparel to add to your wardrobe. While both companies have an abundance of licensed Marvel apparel, Forever 21 gets bonus points for also carrying licensed DC Comics apparel! Be sure to check out your local Forever 21 store, especially for Batman gear, as the website doesn’t always list all of the gear to be found in stores. Check out our top picks currently available at Forever 21 after the cut!